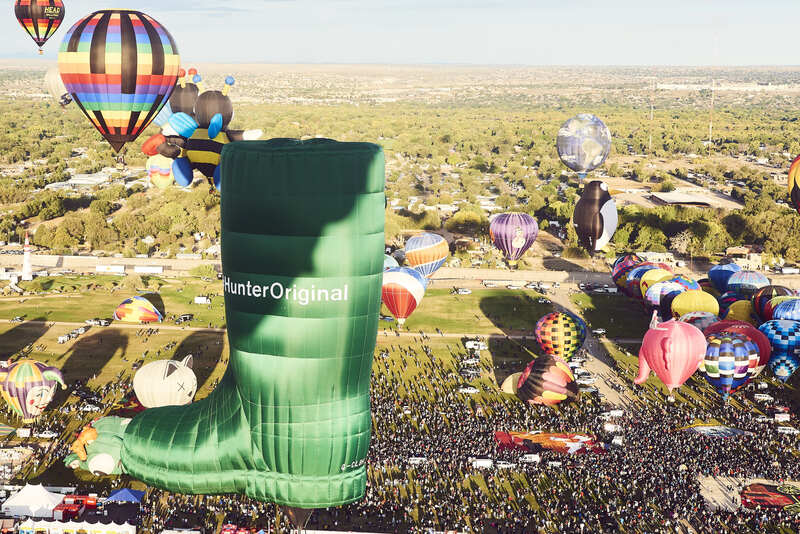 A spectacular display of colour and sound at the world’s premier ballooning fiesta, as it heads into Day 4 and continues through until 14 October. 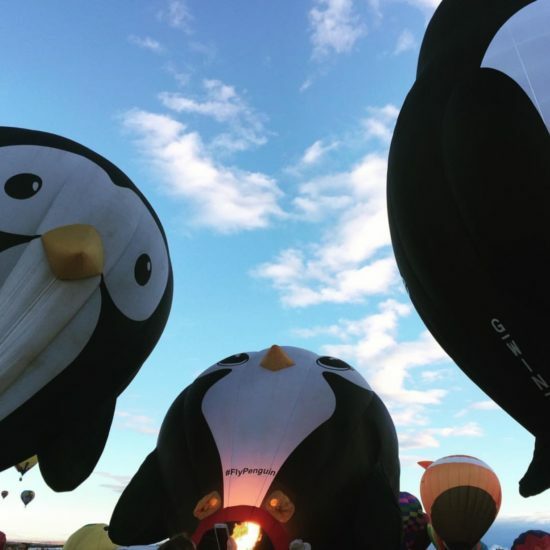 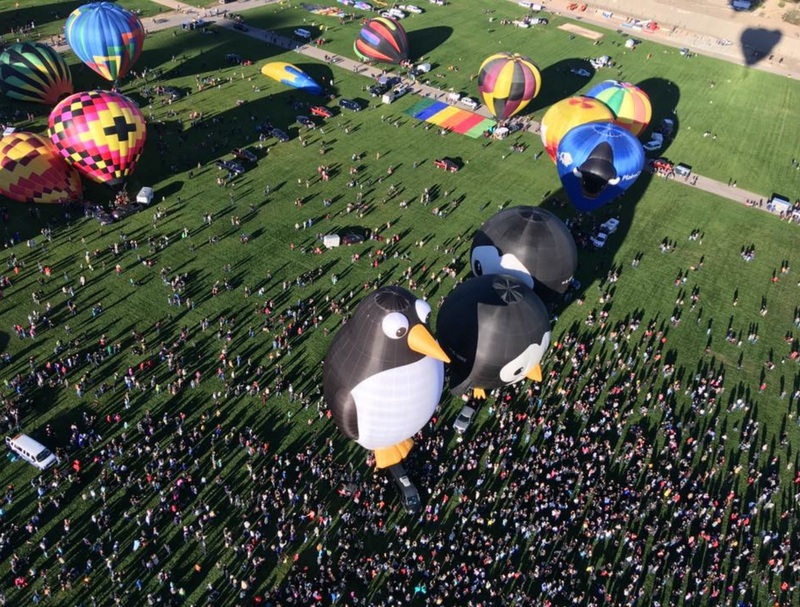 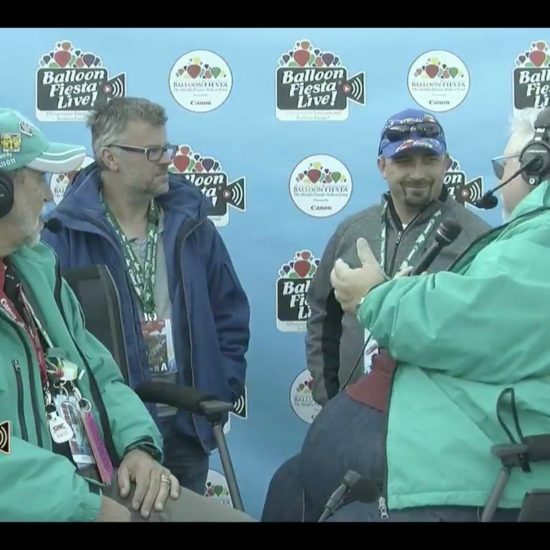 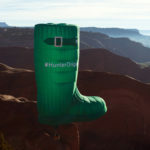 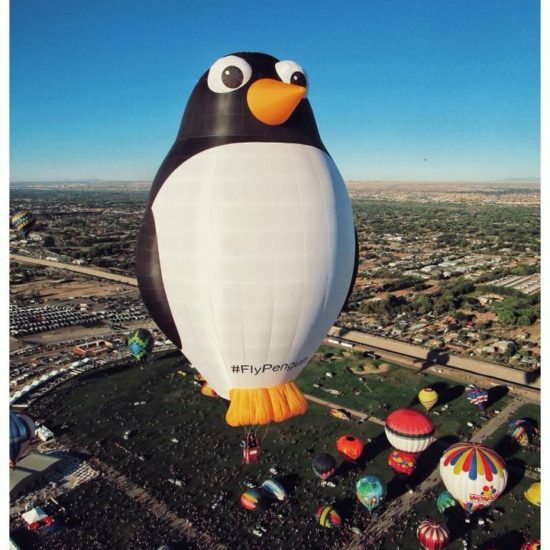 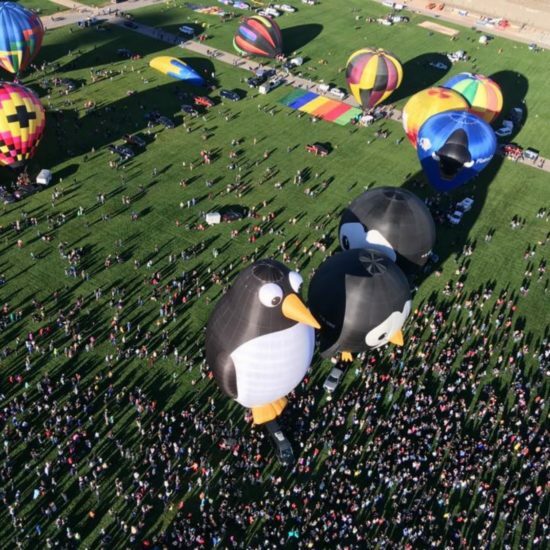 This event is in its 47th year and is held in Balloon Fiesta Park, Albuquerque, New Mexico, USA, in a space equivalent to 56 football pitches. 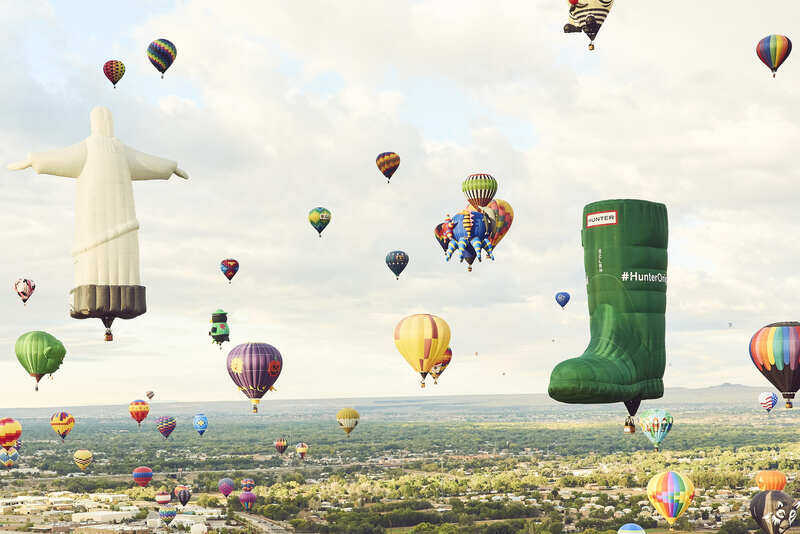 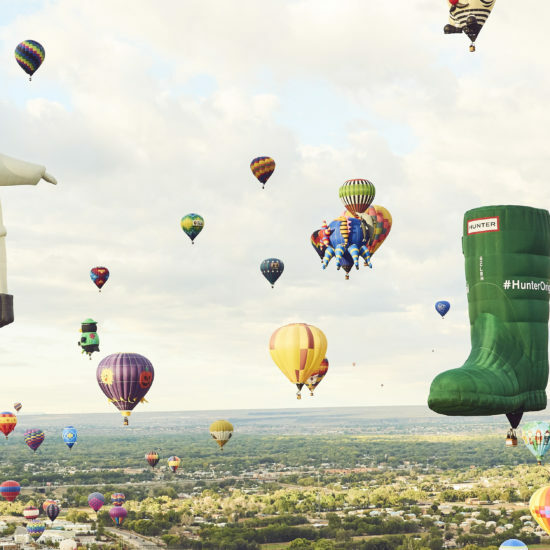 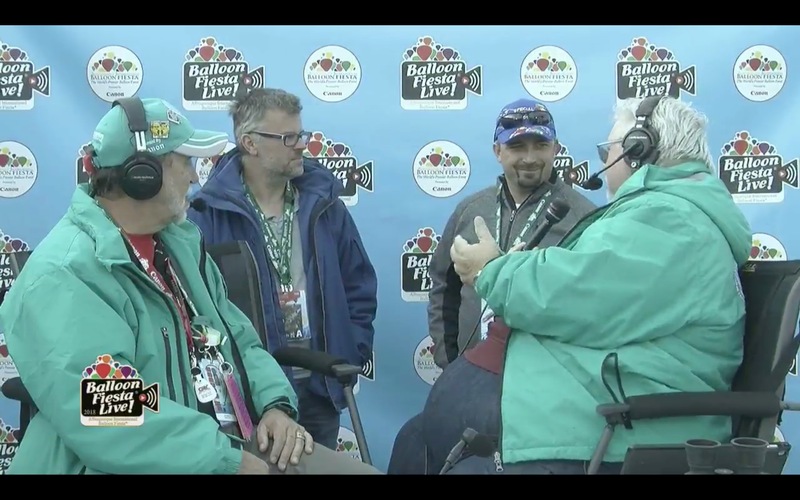 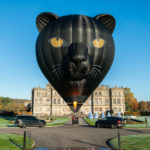 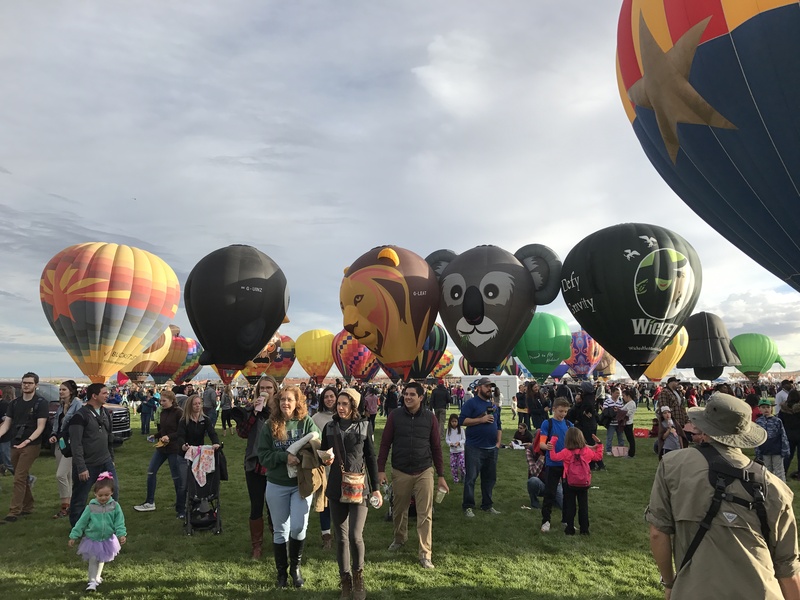 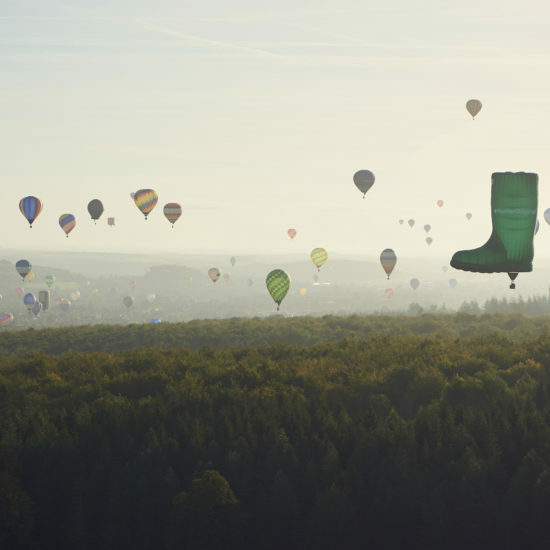 600 balloons are registered – 92 of them special shapes, pilots attend from 50 countries around the globe, making it the largest gathering in the ballooning calendar and this draws an anticipated crowd of 800,000 visitors. 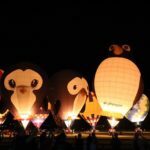 We have Simbaloo, the Longleat Lion, Puddles, Splash and Tall Steve, our loveable penguin family, Wes the Wolf and our cute Koala special shapes all in attendance looking forward to a fabulous 9 days of flying, tethered displays and nightglows. 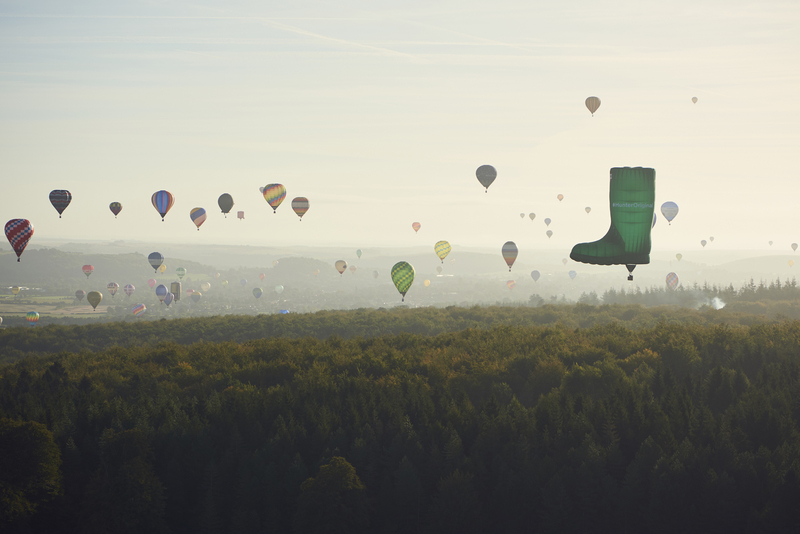 Watch out for the Special Shape Rodeo on Thursday and Friday morning. 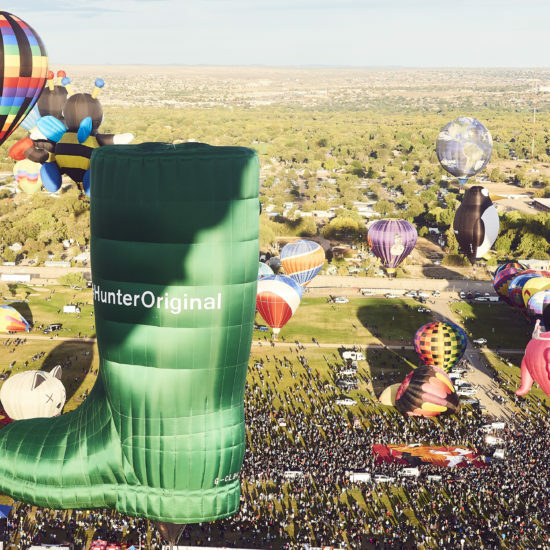 The weather in Albuquerque often produces the right conditions to fly a ‘box’, with winds in different directions at different altitudes providing the opportunity for skilled pilots to launch, fly off, change direction and retrace their path back to the launch field. 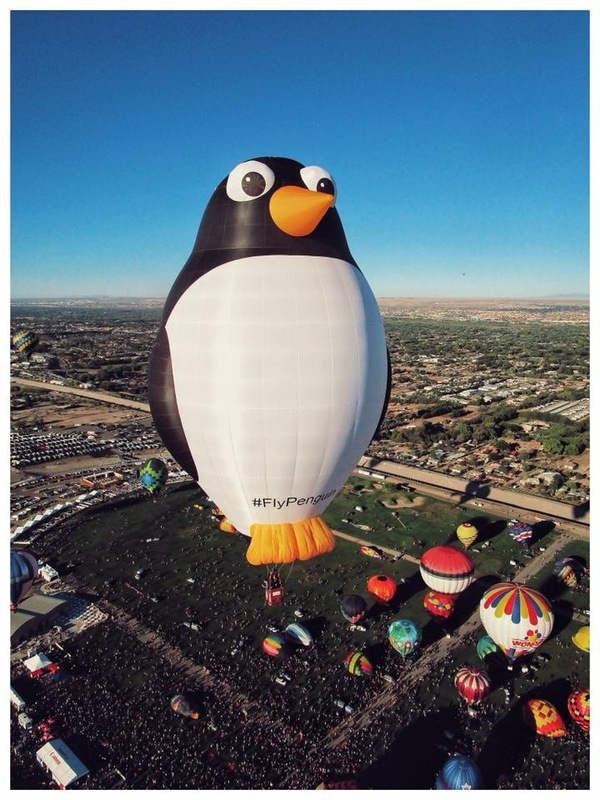 This makes for highly entertaining time lapse videos on social media. 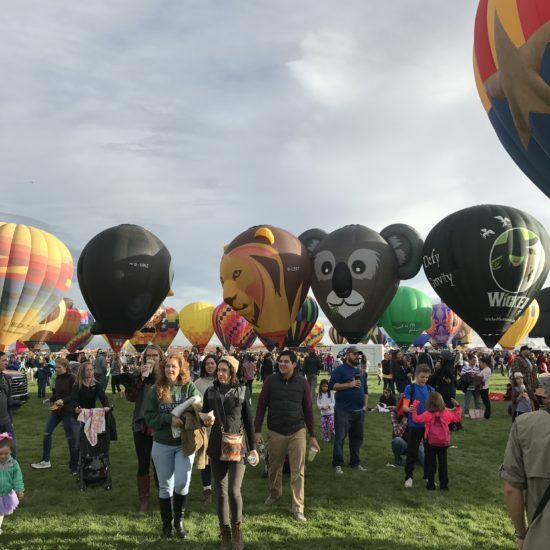 Apart from the aerial display of balloons, there is much more entertainment provided for the vast crowds, food stalls, live music, skydiving displays, afterglow firework displays and even a chain saw wood carving demonstration! 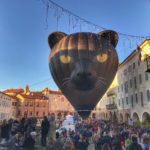 The nightglow was invented here, way back in 1979, and is celebrated by a host of evening glows to music throughout the event, including a special shape glowdeo, twilight twinkle glow and a night magic glow.